Our BEST selling fundraising products with the BIGGEST profit margins to help you reach your fundraising goals for your league. 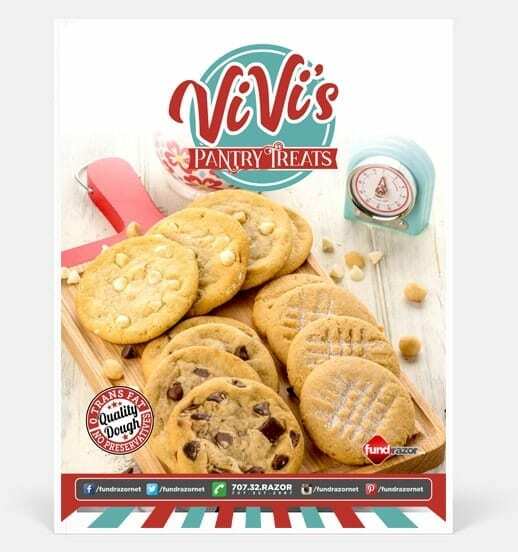 Pre-portioned Cookie Dough with 14 delicious flavors in a 2.7 lb box. HIGHEST profits offered for your group. 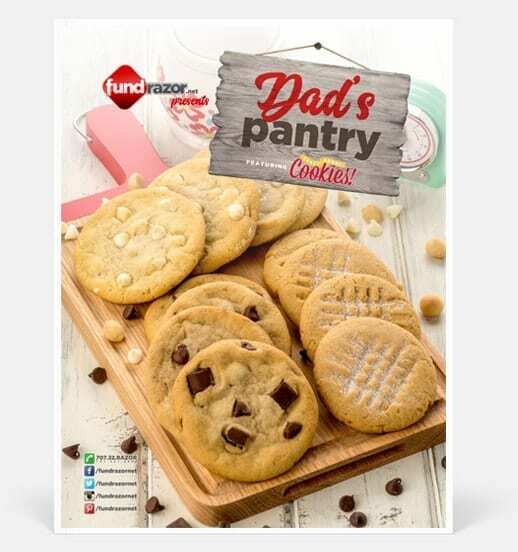 Always shelf-stable which takes the headache out of normal cookie dough fundraiser. One product with one selling price makes for the BEST fundraiser ever. Period. HIGHEST profit at 90% and more along with the BEST prices anywhere, take advantage of the easiest fundraiser we have to offer. 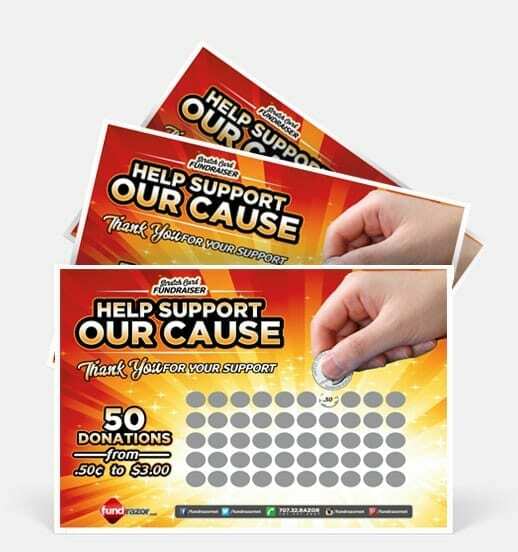 Each Fundrazor Scratch Card helps you raise $100 per card.